SAN FRANCISCO – September 7, 2017 – Picniic, every family’s personal assistant, has announced a new skill for Amazon Alexa. 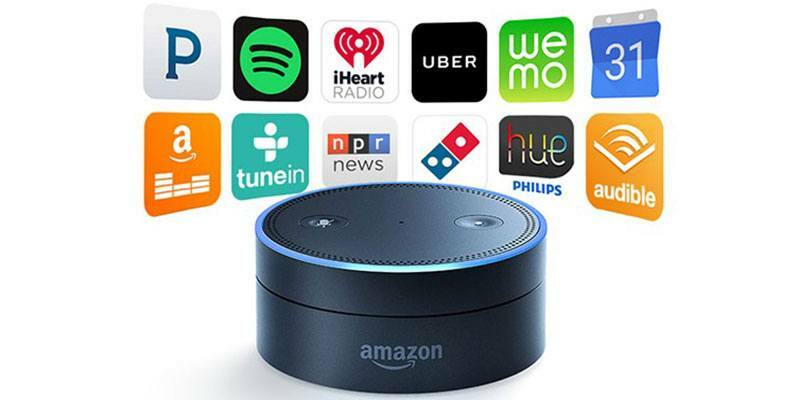 The digital organizer for families across the globe now provides real-time grocery and to-do list updates through the Alexa skill, further establishing Picniic as a great choice to help families need to stay organized and up-to-date. The Picniic skill for Alexa enables effortless syncing of family shopping and to-do lists. Families who are busy at home can add to their Picniic lists through simple and intuitive voice commands. List updates made through the Alexa Picniic skill are updated in real time across all other Picniic family devices. The added level of support provided by the full list integration helps the entire family operate as one cohesive unit, enhancing on-boarding and syncing of information to Picniic. In addition, Picniic’s calendar is seamlessly integrated with Alexa so users can command audio updates for Picniic calendar events. Picniic was built specifically for families, with the goal of moving from being reactive and stressed to proactive and productive. Leading the way in modern family organization, Picniic enables families to spend less time planning their lives and more time doing what they love. Picniic is constantly updated with new features families actually want and need, from the location tracker with custom geofences where all family members can “check-in,” to Pia, an intelligent feature that learns about unique family needs to make insightful recommendations. Picniic’s smart features prepare families for what is to come, making day-to-day life easier. “We’re excited that Picniic’s skill for Alexa now includes easy synchronization across multiple devices, and we think this will be a great way for families to stay organized,” said Paul Cousineau, Director Home Organization at Amazon Alexa. Picniic is available for free at www.picniic.com, the App Store and Google Play. Premium features, including a meal planner, encrypted info locker, family locator, and more, are available with an annual subscription for the whole family at $49.99 or a pay-as-you-go monthly fee of $14.99. Hey, alexa is only available in the US as of now. We’re working on making it available worldwide. Hi I’m loving the picniic app for the shopping list, especially since I can put things into aisles! But how can I get Alexa to add items to THAT shopping list instead of this seperate “to do list” that has been added? I really want to be able to have all my items go to the one list. Hey Bron, thanks for the love. We are working on an update to Alexa that will allow you to not only add items to the default “Alexa To Do list” and “Alexa Shopping List,” but also allow you to add items to any other shopping list that you might have in Picniic. The update isn’t quite ready yet. However, it will be completed soon. Please keep your eyes open for updates in February! I enabled the Picniic skill in Amazon Alexa (US) but neither existing nor added items ever show up in Picniic. Hey Jeremy! We’d love to assist you with this issue. Please contact us at support@picniic.com. Thanks!